Tungsten inert gas (TIG) welding, is another name for gas tungsten arc welding (GTAW). The two terms can be used interchangeably. This type of welding is most commonly used for bonding stainless steel, aluminum, magnesium and copper alloys, as it allows for a higher quality, higher purity weld than most other types of welding. 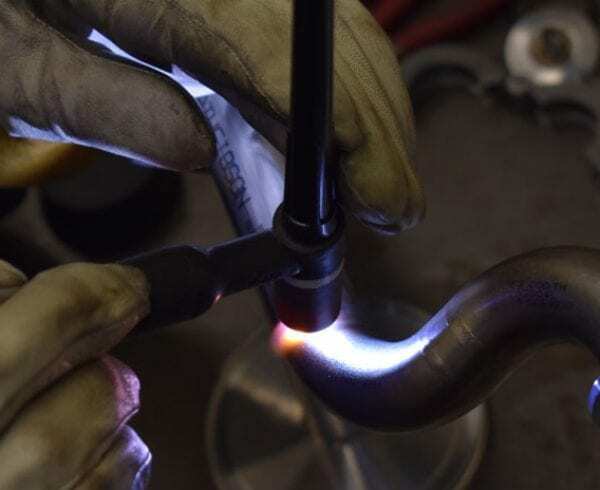 In TIG welding, an arc is formed between a nonconsumable tungsten electrode and the work (base metal), to create a coalescence between two or more metals. Nonconsumable electrodes come in various sizes and lengths, and are typically made of pure tungsten or an alloy of tungsten and other elements and oxides, since tungsten has the highest melting point of any metal, at 3,410 degrees Celsius. 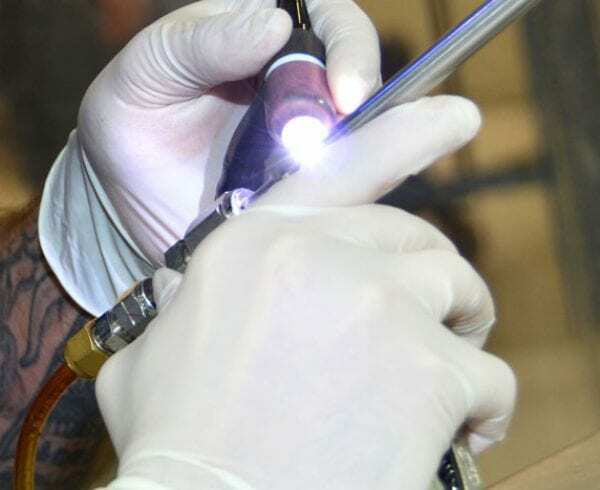 With the necessary expertise and/or appropriate equipment, TIG welding can be performed manually, automatically, or by using a hybrid approach. GTAW welding is one solution to a variety of manufacturing challenges; however, tube brazing, rather than TIG welding, is preferable in cases where the base metals have different melting temperatures, like steel and copper, for example. 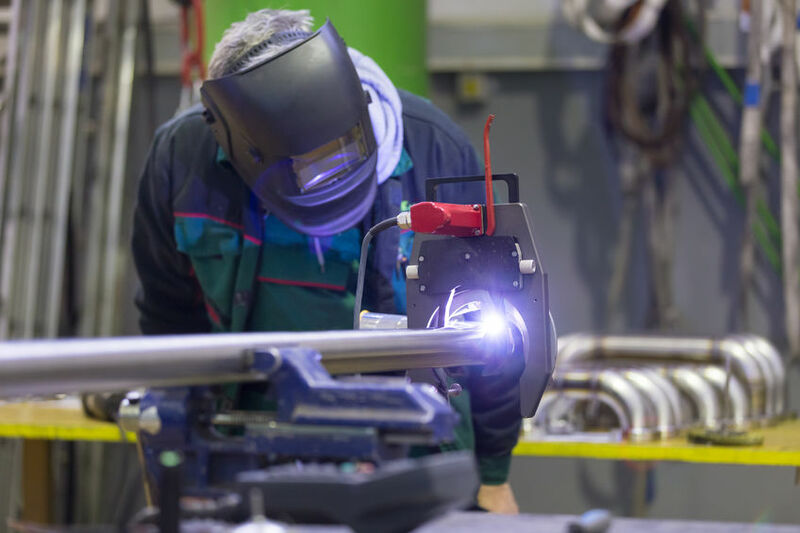 While there are many types of welding processes that professional welders might perform, there are two types of TIG welding that we focus on at Axenics: orbital TIG welding and manual TIG welding. Both types of welding processes, when done correctly, result in superior weld quality in the joint between two products. Orbital TIG welding is an easily repeatable process, allowing for automation when needed. It is also a clean process, which produces a higher quality weld than when most other types of welding are performed. Manual TIG welding, on the other hand, is a more precise solution, which allows for more accurate and refined weldments in cases where orbital welding isn’t feasible, such as hard-to-reach welds, (where the apparatus doesn’t fit) and open root passes, for example. TIG welding offers a solution for welding critical joints, and for situations where small or exceptionally precise welds are required. It can be performed with a wide variety of metals, and, when done correctly, it produces a high-quality and high-purity weld compared with other joining processes, which is crucial in many applications. The price of TIG welding services is also usually quite affordable. However, costs will vary depending upon the materials being welded, and the scope of the project. Overall, it is one of the most efficient ways to join two metals. Learn how to put the advantages of TIG welding to work for you. 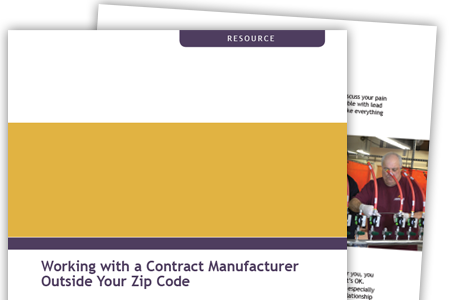 Download Our White Paper. While TIG welding can be performed with most metals, there are some metals that cannot be welded. In addition, TIG welding should only be performed on clean metals, as welding dirty metals will result in a weaker weld quality. And, though TIG welding is known for producing the best quality welds, the process has a low deposition rate, which means that you can’t TIG weld things quickly; there is a set pace at which TIG welding occurs. It also takes a high level of skill and dexterity to perform TIG welding when compared with other types of welding. TIG welders typically use both hands and one of their feet to perform their work, leaving them standing on one leg! Most other types of welding don’t require as much nimbleness. 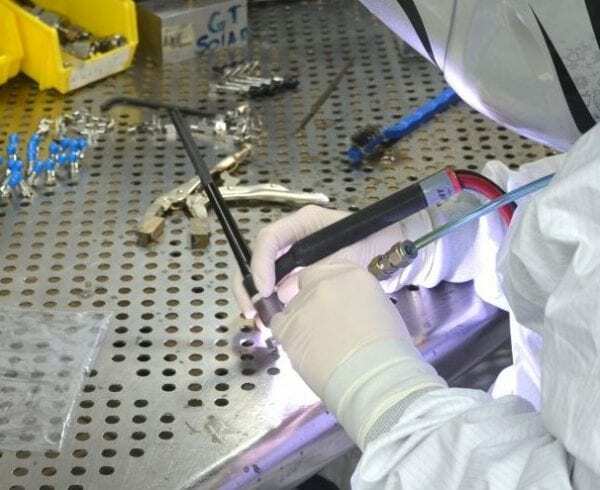 Another potential challenge in TIG welding is that it can be difficult to take apart two products that have been welded together without destroying each component. While it can be done, and is often done by professional welders, it is undesirable in most cases. Therefore, once two products have been welded, they typically can’t or shouldn’t be reused for another application. 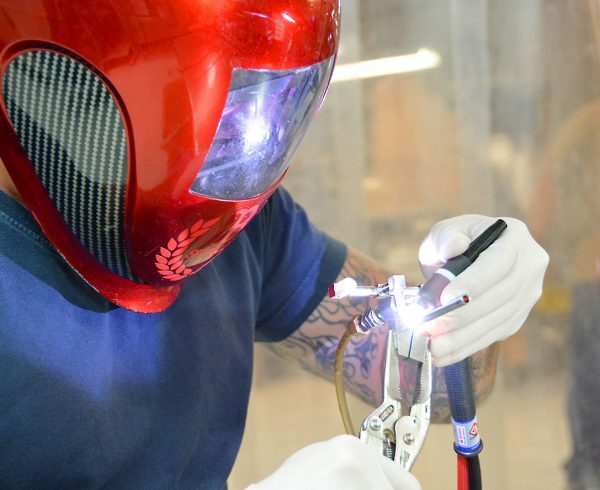 Although the cost of equipment and materials required for TIG welding are relatively affordable, the process must be performed by a skilled and experienced technician, which can result in higher labor costs. Expensive equipment may also be required for certain applications. Also, when performed improperly, inclusions, contaminations, and unbalanced heating can cause products to become warped or defective, resulting in wasted materials, and an overall cost increase. To TIG Weld or Not? 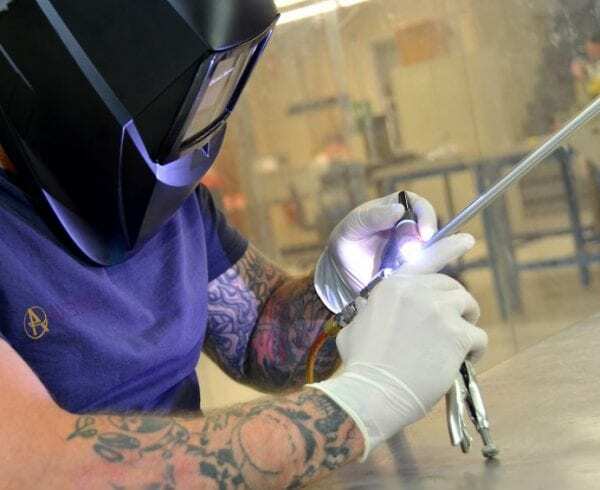 Understanding the advantages and challenges associated with using TIG welding in your next manufacturing project is an important part of the project management process. Axenics offers manual and orbital TIG welding services performed by certified, skilled and experienced welding technicians, in addition to a variety of alternative manufacturing services to meet your specific project needs. We’re also happy to help you determine which process or processes will be most efficient for achieving your project specifications.